Financial crises have significant short-term and long-term social costs. As a result, economic and social indicators have dwindled significantly since 2007. The soar in the unemployment rate has been most marked in so called advanced economies, reaching alarming levels in the tangential Europe with more than half of the young labour force unemployed in Greece and Spain. What is more, the crises, one global and another Euro zone financial crisis, have inexplicably hurt the poor. The progress in poverty alleviation has been not smooth across regions, and the pace has slowed since 2007 across the board. The crisis has also created challenges to the achievement of other development targets, including reduction of the occurrence of malnutrition and mortality rates, and civilizing gender equality in education and access to hygienic water and sanitation. This also suggests a significant loss or a reversal of the progress in development. 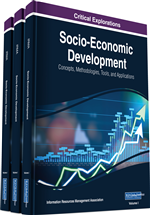 In the above background, this paper presents evidence on the extent to which the global financial crisis and other crises since 2007 has been associated with deteriorating economic and social well-being indicators with a special focus on India. The results clearly indicate that poverty levels have been falling before the pre-crisis period but the post-crisis period witnessed a jump in the poverty rates across India. Financial crises are not a new phenomenon. They occur — occur enormously with knock-on-effects — in different countries under different garbs. Crises will occur again and the next one will be different in some dimension from the last — and it will also be unexpected. Of late, it occurred in USA in the subprime1 mortgage market in 2007-08. The purpose of their sub-prime loans was to maintain the housing boom from 1995 to the mid-2000s. This entitled agreeing to high-risk loans to applicants with poor or without any credit records; however, investment banks (in the business of buying or selling securities on the stock market) were handed the task by government of delivering the mortgage lending policy. These financial institutions transformed the mortgage loan assets into investment bonds, and sold them on to other financial concerns, which proved problematic in that the borrowers who had taken out the loans in the first place were unable to keep up with payments when interest rates rose rapidly after 2004. The myriad financial speculations were simultaneously reinforced by a near absence of consistent regulation to protect vulnerable groups and the whole community. However, after crossing the Atlantic Ocean it hit the various nations of different varieties with different impacts. While OECD countries have resources and instruments to cope with it and mitigate its effects on displaced workers and vulnerable people, poor countries are still below their trend of output growth and lack the appropriate tools to deal with these multiple external shocks, thus the poorest people in the poorest countries, those who are less responsible for the crisis end up being the most exposed to the global recession; not only do they lack sufficient safety nets for immediate help but also, more importantly, they have been dramatically affected in the long run by the likely reduction in social spending. Crises have hard hit in all categories of social stratum, especially the poor, babe, young, elderly, young, women and the ill, even knocked at the kitchen. This is because the poor are bereft of savings and no tangible assets. They have lost their jobs and find no access to public services such as education, health care and social services. What the United Nations (2009) stresses is the fact that even the Millennium Development Goals has been distorted and hampered. Poverty ratios, indicators of hunger, child malnutrition, gender equality and unemployment all worsened in 2008. The World Bank (2009) estimates suggested that lower growth rates in developing countries, due to the twin food/fuel financial crisis had trapped an additional 89 million people in poverty. Besides the economic and food crisis have increased the number of the undernourished worldwide to more than 1 billion people, the highest since 1970 (Presbitero & Zazzaro, 2010). The United Nations (2009) stresses that the financial crisis has jeopardized the achievement of the Millennium Development Goals: poverty ratios, indicators of hunger, child malnutrition, gender equality and unemployment all worsened in 2008. The World Bank (2009) estimates suggested that lower growth rates in developing countries, due to the twin food/fuel financial crisis had trapped an additional 89 million people in poverty. Besides the economic and food crisis have increased the number of the undernourished worldwide to more than 1 billion people, the highest since 1970 (Presbitero & Zazzaro, 2010). The late 2007 tsunami was successful in transforming the lives beyond imagination of many individuals and families even in advanced countries such as those in the Euro Zone2 and the United States. When all US financial sectors were in recession and the housing bubble burst in 2008, they made a devastating immediate effect on ordinary Americans’ housing, and the consequential increase in homelessness.